The gods of old didn't really get along. One would say the other's toga looked wrinkled, or that their laurel wreath was browning, or their mother's recipe for ambrosia tarts was better. And then all hell broke loose... Or, I guess it was "all heavens broke loose" as the gods went to war. As various gods died, and the battles were fought, magic (both arcane and divine) were stripped from the world, and various places were simply blasted into oblivion. The war has ended, and humanity is still picking up the pieces. But a god can't really die. Not fully. And the power they used is seeking new vessels. That's where you come in. 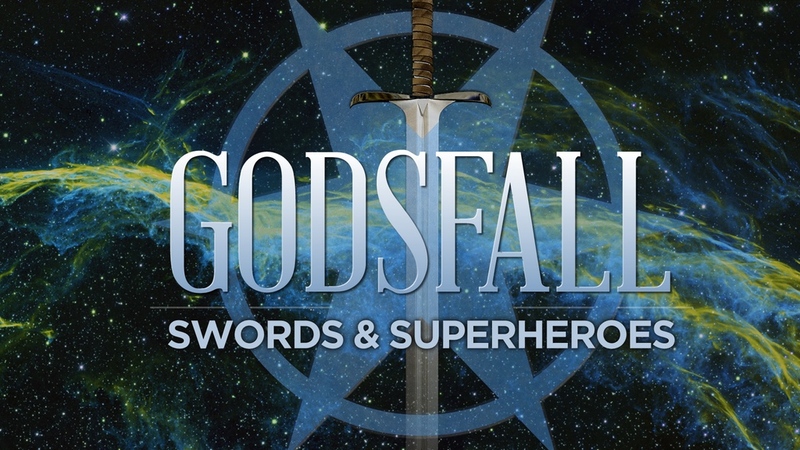 That's also the story behind Godsfall. There's a Kickstarter campaign running to bring the setting to 5e. This new worldbook will bring the thirty-six gods (from levels 1-20) to your Dungeons & Dragons games. But more than that, there's also detailed maps of both the world, as well as various cities. Plus, you get descriptions of all manner of beasts that live in the world, as well as NPCs that your characters can interact with. There's even specific character sheets for you to use that has "Divinities" as a space on it for you to fill in. The campaign, as I mentioned, is up and running now. They've already made it over their funding goal. So it's on to stretch goals for the next 25 days.